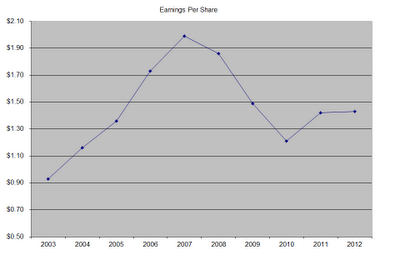 Lowe’s Companies, Inc. (LOW), together with its subsidiaries, operates as a home improvement retailer. It offers a range of products for maintenance, repair, remodeling, and home decorating. The company is one of only 13 companies in the world which have increased dividends for at least 50 years in a row. The company’s last dividend increase was in June 2012 when the Board of Directors approved a 14.30% increase to 16 cents/share. This was the second dividend increase in under one year. The company’s largest competitor includes Home Depot (HD). Over the past decade this dividend growth stock has delivered an annualized total return of 4.10% to its shareholders. 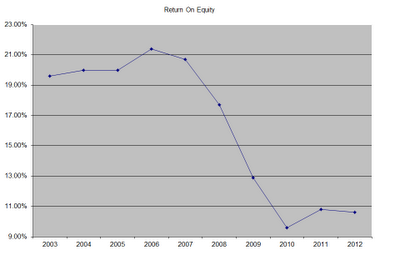 The company has reduced its share count from 1562 million shares in 2003 to 1177 million in 2012. 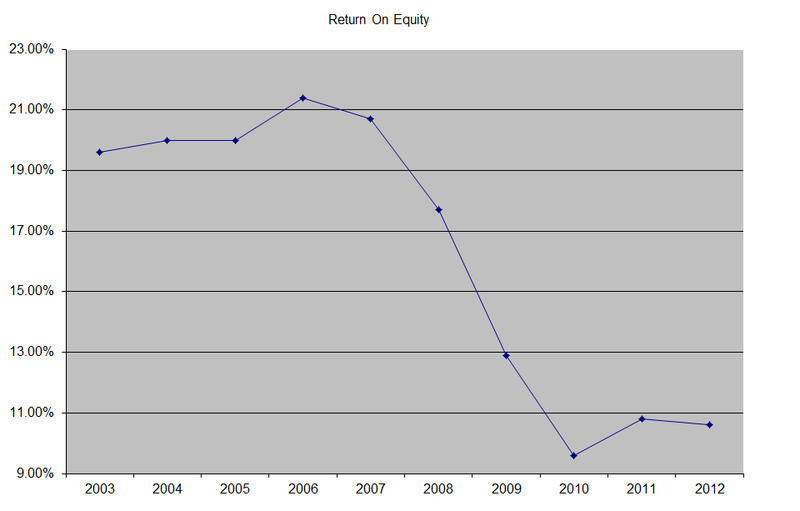 The return on equity has decreased by half from 21.40% in 2006 to 10.60% in 2012. 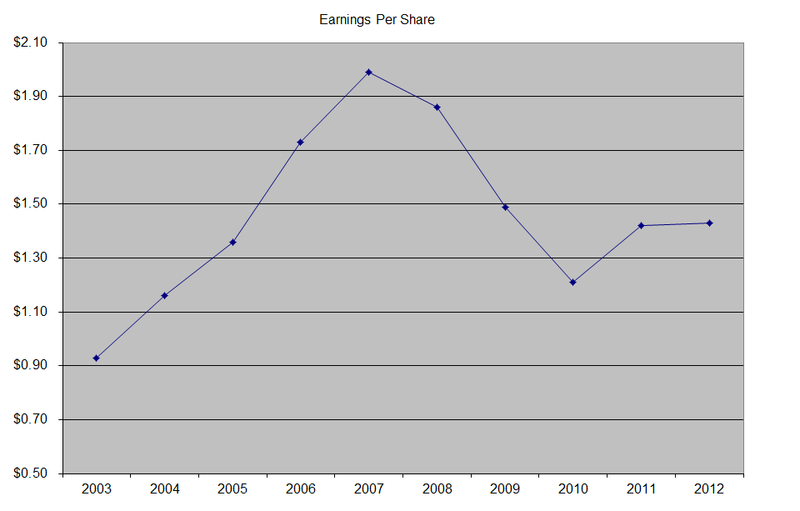 As earnings rebound over the next two years, I expect ROE to increase to upper teens. Rather than focus on absolute values for this indicator, I generally want to see at least a stable return on equity over time. 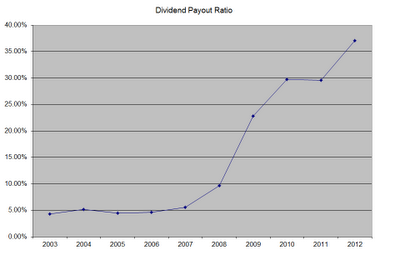 A 30% growth in distributions translates into the dividend payment doubling almost every two and a half years. If we look at historical data, going as far back as 1983 we see that Lowe’s n has actually managed to double its dividend every five years on average. 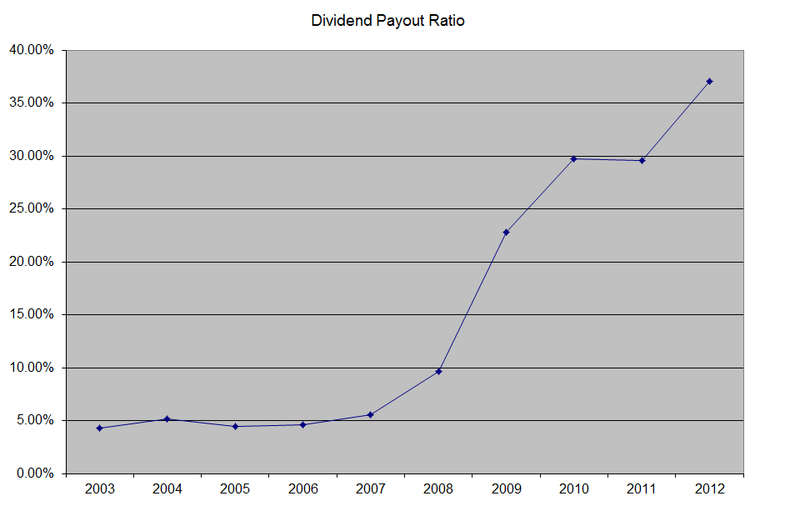 The dividend payout ratio has increased from 5% in 2003 to 37% in 2012. A lower payout is always a plus, since it leaves room for consistent dividend growth minimizing the impact of short-term fluctuations in earnings.